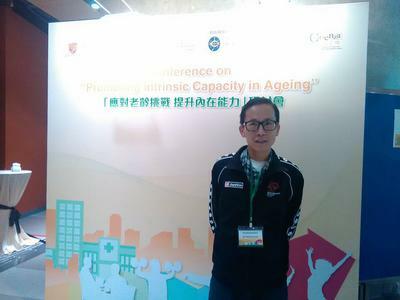 I am 68 and have been doing the following exercises: jog for about 30-45 min almost every day mixed with some brisk walking or hiking at times; weight training using dumbbells, resistance band training to cover areas weights cannot do; stretching, kungfu (incl Chinese broadsword, Chinese sword, Chinese pole and now learning Guandao), core exercises. The motivation that drives me is to keep fit and I had been admitted into hospital for 6 times till now and I don't want to be admitted anymore. In the hospitals I have heard, in addition to what my doctor told me, what other doctors told their patients and I have learned a lot: Some examples include maintain your fitness level to be as close as when you leave school or college; move as much as you can even though you are in a hospital bed, etc. My father who died of heart attack also told me to be careful on pork. My past medical history is not so good: constipation for decades, pale complexion since childhood, always despised by schoolmates in physical training sessions in schools since I could not do well in physical exercises, and they tried to avoid taking me into their team in exercises. Another drive is to excel in my health even though I am poor in comparison against my brother and sister who have more wealth but do less well in health with cancer, hypertension, etc. Besides they always jeer me about my following strict diet, following WHO advice, etc. My annual health check metrics are good and I thank myself for my efforts.Ｉ would keep on reading articles about health to keep me going, to update myself. In Hong Kong where I live, there is lots of such info on health, often reliable, that I constantly follow. There are lots of leading seniors who lived to advanced age and they are a rich source of inspiration. I also exercise my brain thru writing, learning to play 2 types of Chinese musical instruments (erhu and liuqin), online learning from open university education offered free in internet by Chinese universities, calligraphy, singing, read newspapers about what is happening, etc. Thank you for your inspirational post. I am impressed that you are so committed to a balanced health style and am in particular impressed with your courage and determination to stay fit despite having significant health challenges. I will use the example you set to help keep myself going on those days when it might seem much easier to ignore my exercise program. I am sure that you have helped other here as well. At 77, I also practice the martial arts (Okinawan karate and Israeli Krav Maga) and include much cardio, strength, and flexibility work. Proper eating has been very high on my priorities since heart surgery about four years ago. Like you, I do not want to return to the hospital, even though I received excellent treatment and care at mine. My other activities include mathematics and history - trying to keep my mind young, too. Thank you again for your helpful post.